Decorate your little piece of paradise with this fun wooden beach wall decor. 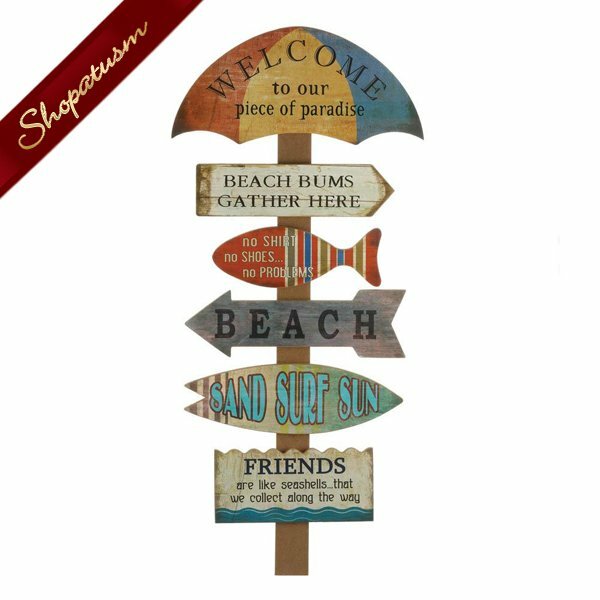 The beach wall decor features multiple wooden signs with laid back sayings that will make your guests feel like they're relaxing at a resort. Perfect for your cottage or vacation house, this wooden beach decor will set the tone of any space. Wood and MDF paper. Measurements: 15" x 1.25" x 33" high. Weight: 3.2 pounds.